Welcome to the ALEXA shopping and leisure centre! We have plenty of shopping choices waiting for you, plus a large variety of exciting entertainment offers for the whole family – located directly on Alexanderplatz in Berlin. Come and marvel, relax, enjoy and share. Explore our bright centre with its unique Art Deco ambiance and distinctive 20s flair. 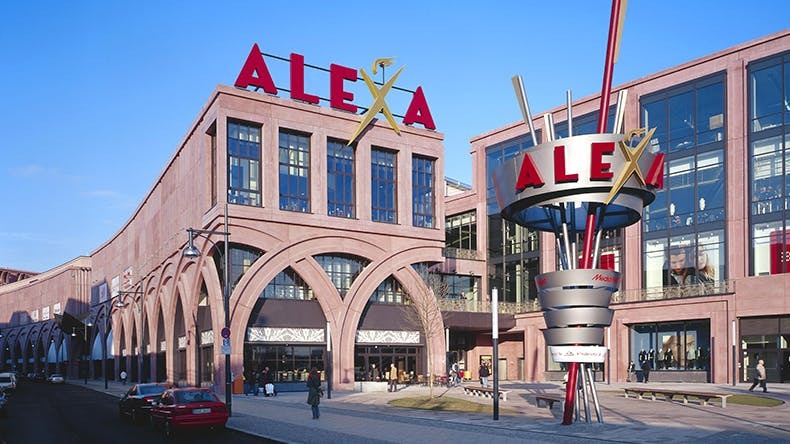 The ALEXA centre offers well-known brands in more than 170 shops: whether fashion, electronics, books, food or services – a unique shopping concept on 5 floors is waiting to be discovered by you. You will be amazed!